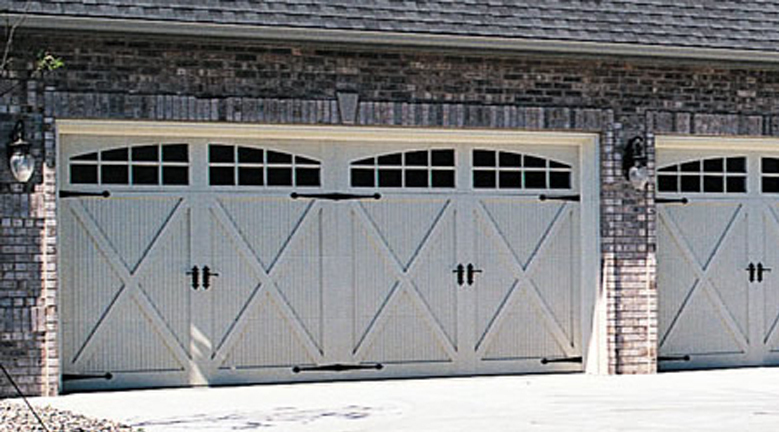 Amish craftsmanship enhances the quality of these garage doors. Faith Door Services combines its tried-and-true technical expertise with professional craftsmanship to develop a door that not only reflects handmade artistry, but is also built to stand the test of time. 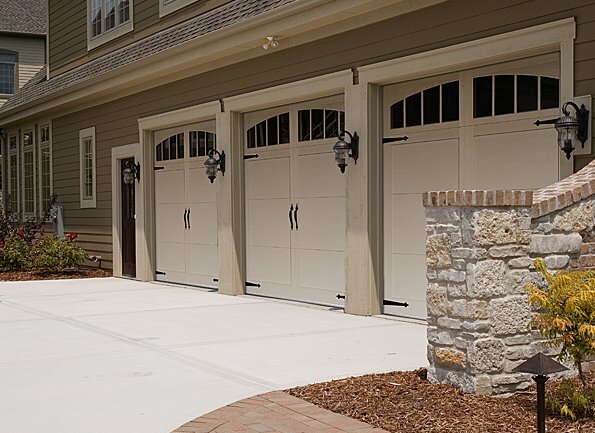 Our Carriage House Garage doors combine the detailing of carriage house wooden doors, the classic swing-open appearance and the convenience of standard sectional garage doors. The carriage house style has been a fundamental design for decades. This elegant look of classic wood is now available with a virtually maintenance-free fiberglass exterior. The door is protected with light-weight, yet durable and impact-resistant fiberglass, that can be factory finished in three designer colors. Interior panels are painted white. The numerous glazing and hardware options will continue to add character and value to your home for years of trouble-free service. This Series was selected for its popularity and pleasing traditional architectural features which complement the look of numerous home styles. These doors replicate the classic look of wood with a virtually maintenance-free steel exterior and Poly accent battens. The light-weight yet durable steel exterior delivers years of deserved trouble-free service and protection. 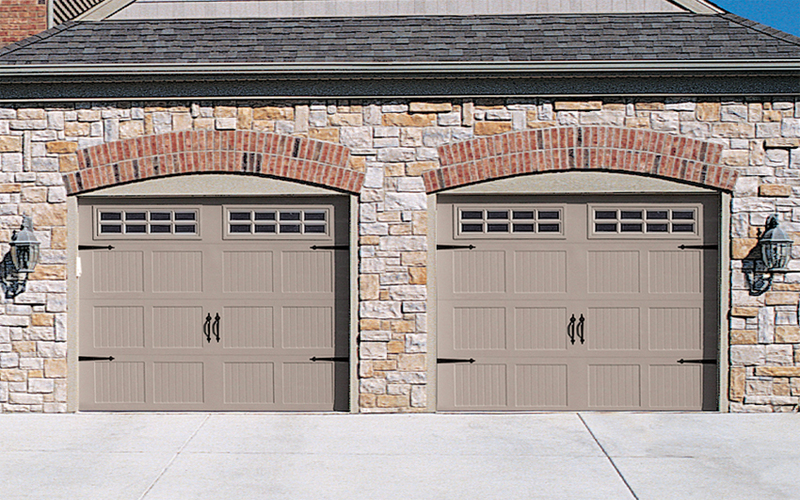 The 5216 combines the beauty of a traditional, wood carriage house door with the strength and durability of steel. A foamed in place process using urethane foam completely fills the core of this new product, combining a high degree of structural integrity with an exceptional R value rating. PVC extrusions at both section joints provide a thermal break by separating the front and back of the door. 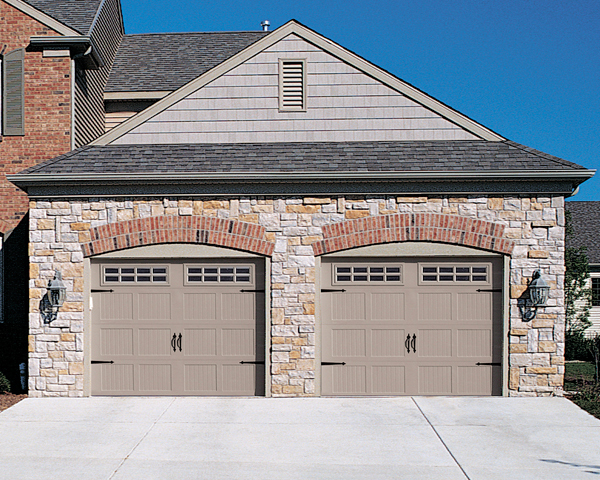 The 5200 Series Steel Carriage House Door is truly an innovative product. Not only is it the premier carriage house door to be constructed entirely of steel, but it has been designed to give you, the homeowner, an historically accurate re-creation of the traditional wood carriage house door. C.H.I. 's Steel Carriage House Door provides the maintenance-free durability of steel and a limited lifetime warranty for years of worry-free protection. And with a diverse collection of window, hardware and color options, you can be certain to find the door that will complement your home perfectly. 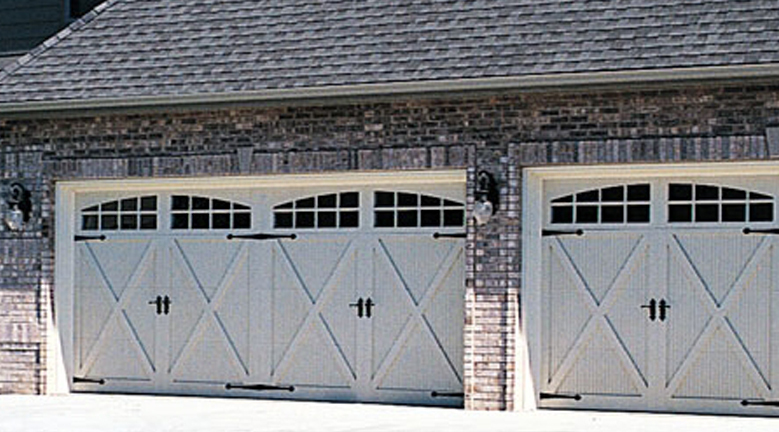 "The re-installation and adjustment your crew did on my problem garage door and opener is excellent. Very precise, works like a charm, even re-installed protective sheet metal shroud so that it looks better than first put in. I, like most people, complain when work is not up to par but rarely praise very good work. I have recommended you to several builders." Jerry installed our new door and opener 7/27 and we love it. Greg was professional and very knowledgeable. He spent 5 hours here making sure every detail was right. We will refer any one who asks to Faith Door Services. 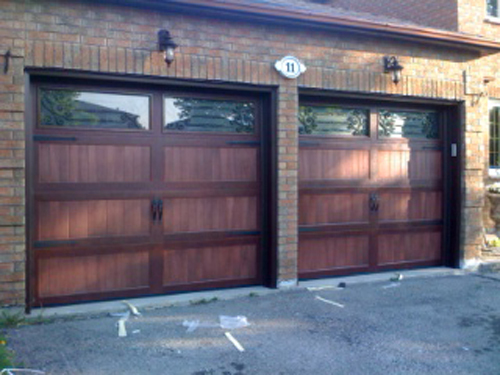 I would like to take the opportunity to let you know how pleased I am with the recent installation of my garage door. Jordon, the installer, was very professional. The door was nicely installed in a prompt manner and his follow-up visit to make an adjustment that I requested was appreciated. Jordon is an asset to your company. I will strongly consider Faith Door Services for any of my future needs and pass on positive comments to neighbors and friends. "Frances & I just had a front entry door & garage door installed. The work performed by your installers, was outstanding, professional, timely & courteous. We are very pleased with our new doors & the service we received. It's good to do business with a person who delivers exactly what he promised & does it the first time." Copyright 2010- 2016 Faith Door Service. All Rights Reserved.